What others say about their chiropractic and acupuncture care can help you make the right health care choice. Review a selection of North Bay Chiropractic and Acupuncture Center patient testimonials below and please call us or click here to email us your questions! Dr. Buzbuzian took a lot of time to review all of my issues, discussed options for me, and explained everything very clearly. His chiropractic adjustments also felt like he addressed the areas that I needed working on. Dr. Buzbuzian is very patient and thorough. Great young man at front desk, very friendly. I think I feel better already! Very hopeful for continued success. Appreciated the valuable time that was spent with me. Gave me much hope that I can get help with my spinal condition. The exam was explained every step of the way along with the course of treatment, the whole experience was very relaxing. Lots of experience, very attentive, very respectful. Thank you! Visit experience was pleasant and professional and glad we have good alternative health options right here in our town. Dr. B is the most professional sensitive effective chiropractor I have ever received help from. I completely trust his skill and competency, and would recommend him highly to anyone, hands down. Thank you! Thank you for such a thorough first visit. Really appreciate the evaluation and explanations. Looking forward to my next visit. The care I received was awesome. My lower back pains, after several visits, have virtually melted away. Dr. Buzbuzian explained things in detail. His exam was very thorough. I was very pleased with my care and treatment. I thought that Dr. Buzbuzian was thorough and sensitive to my needs. Wish I’d found you sooner! Very thorough exam and explanations. Looking forward to further treatment. Dr. Buzbuzian is very thorough and easy to understand… he seems to be very patient. The best chiropractor we’ve ever been to! My 9 year old daughter was afraid to go and once she was in the appointment she became immediately comfortable. She left with her back feeling better and is actually excited to go back to her next appointment. I knew she was in good hands since I myself am a patient. I have had the most relief from my injury I’ve had in years since I started going there. Thanks for the extra effort in trying to get my Kaiser Senior Advantage to cover the costs…..it seems that they can’t refer me to your office until I am ‘seen’ by a doctor at Kaiser for my ailment. Too much bureaucracy on that side but in the future I will be better prepared. Your fees are fair anyways so it’s not a hardship to pay out of pocket. Very happy with the way he explained why my pain was getting worse. The adjustment to my back relieved my pain so that I was able to walk normal. So very Happy to have found such an Awesome Chiropractor. Dr. Buzz has such calm, confident personality and he explains all procedures so thoroughly. After having a great treatment, I walked out of his today knowing that I was going to be helped and on my way to feeling better soon. Thank you Dr. Buzz and a warm Thank you to your Wonderful, Friendly Helpful Staff. Even though I had to stop my procedure iin the middle of the treatment – I found considerable relief until the next morning – when my back pain started again – just as painful as before. I did learn why I have ths pain – and realize it can be successfully treated. I am looking forward to my appointment on Monday morning to continue the process and in case I did not mention my right shoulder pain – which needs to be treated as well. If not at the same time then the next appointment. I would consider the treatment a success – and look forward to Monday’s appointment to complete the back treatment and hopefully to start on my shoulder. I was so impressed with the amount of time Dr. Buzbuzian took to thoroughly explain his approach. I left the appointment feeling confident that, if I followed the plan, I would feel consistently better and more mobile. I was proven right by the way I felt right away and for almost a week after my first adjustment! I look forward to continuing this success for a long time to come! I love Dr. Buzbuzian explanation’s and how he takes time to make sure I understand. He also, asked questions and interviewed me thoroughly so that he understood my history. I’m very happy that I have started with this practice—I feel very well cared for, indeed. Thank you! After the initial consultation and acupuncture treatment with Dr. Buzbuzian I have new hope that this approach will help in the healing of my current condition. I look forward to further treatments and in time a full recovery. This first appointment was by far the most comprehensive I have ever had. I’ve been using chiropractic treatment for many years. I felt that I was considered as an individual case and not just part of a “herd”. Thanks much! I had thrown my back out doing yard work and could not walk for nearly 3 days prior to seeing Dr Buzbuzian. I have had back issues due to auto accidents in the past and seem to have my back go out on me nearly every two years. Unless you have thrown your back out, you couldn’t imagine the discomfort! I have seen many chiropractor’s in my life. Dr. Buzbuzian has been a pleasure to work with and is very good with communicating the process of healing, the plan of rehabilitation, and making sure I was completely informed before moving forward. His techniques are pain free and I have seen a great improvement in less than 3 treatments over the past 5 days. I am a Kaiser member and am glad to find a good chiropractor on the approved list! Dr. Buzbuzian has been great! Thanks! Do you have a backache or a “crick” in your neck? How about tendonitis, allergies, headache, or menstrual problems? If so, I would highly recommend a visit to Dr. Buzbuzian. He is an extremely adept chiropractor and acupuncturist. In the 25 years that I have been a patient of “Dr. B”, he has helped me with all of the above. Not only does he treat the problem, he educates you in body mechanics and lifestyle changes that can help keep the problems at bay.. something that I personally find to be very helpful. I have been going to Dr. Buzbuzian for almost 20 years. He also treats my hubby and child. He has helped with my back, headaches, digestive problems, and with acupuncture he has helped my knees, feet, pain, and persistent cough. I’ve tried other chiropractors but the level of trust I have in Dr. Buz is unparalleled. I don’t know what we would do without him. Dr. Buzbuzian takes the time to explain the source of my issues and also provides methods to hasten my recovery and prevent future injuries. I have just recently been treated via acupuncture and chiropractic for a bad case of tendonitis in my shoulder. The results are remarkable. I was back to near full function in less than a week. Helped My Hot Flashes and Allergies! I consider Dr. Buzbuzian my primary care physician. I have received Chinese herbal treatments for hot flashes and seasonal allergies that greatly reduced my symptoms. I have had back issues for 25 years and he is the first practitioner to actually relieve all my symptoms. He treats me with chiropractic and acupuncture as well as general health advice such as stretches. He is thorough, professional and caring. I cannot say enough great things about him. He is the BEST! 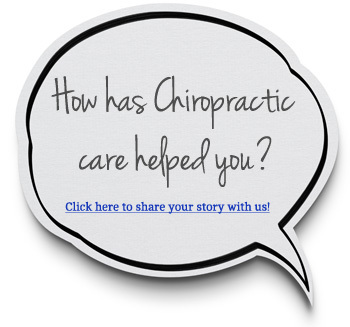 I have been going to Dr. William Buzbuzian for chiropractic on my back for the past 17 years. I have also used him for acupuncture for the past 12 years. He spends a lot of time diagnosing the root cause of any problem and is very clear about what it will take to not only heal the problem but also keep it healthy. He is one of the most conscientious practitioners I have ever been to and makes me feel confident that I can manage my joint and muscle health with him as a partner. I went to Dr. Buzbuzian because I was having tingling in my arm and hand. After the 3rd visit I had amazing results. Not only do I believe he is extremely knowledgeable, but I believe he honestly cares about my well being. I highly recommend Dr. Buzbuzian’s services to all. As a health care practitioner, I am careful to choose licensed professionals and seek information and referrals whenever possible for my own care. The care I received from Dr. Buzbuzian was excellent. He is well qualified, knowledgeable, patient and thorough. Dr. Buzbuzian is one of the most conscientious practitioners I have ever been to. He makes me feel confident that I can manage my joint and muscle health with him as a partner. He is also very smart and can explain health issues to his patients in easier terms. Highly recommend him! Dr. Buzbuzian has a very calm and gentle approach to his adjustments. I always tense up beforehand and he eases me to a point where he brilliantly and smoothly adjusts my neck without any jolting. He is amazing! I pulled a muscle near a rib last week at the gym and was in so much pain. Had an acupuncture session with Dr. William Buzbuzian and was out of pain the next day. Saved me a trip to the emergency room! He’s great with sports injuries but he will make you do your stretches.